This item is currently out of stock. The manufacturer can provide no estimate for restock. 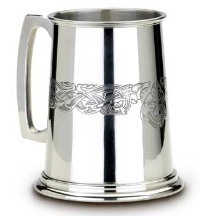 1-pint tankard featuring a Celtic Dog engraved band.